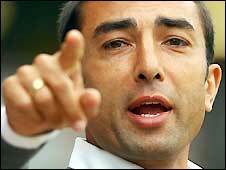 Roberto Di Matteo has signed a contract extension with MK Dons that will tie him to the club until June 2011. Di Matteo took over as manager of the League One outfit in July and has led them to second place in the division. The Italian, 38, said: "I'm very happy to be staying with MK Dons. It has been an extremely enjoyable first six months in management." Assistant manager Eddie Newton and fitness coach Ade Mafe have also agreed two-year contract extensions. Di Matteo added: "I hope that, together with the players, the staff and the chairman, we can take this club forward. "We have faced many challenges since I arrived here, but the hard work, character and professionalism of everyone associated with this club has taken us into a strong position as we approach the new year. "We still have a long way to go and there is a lot of work to be done, but I'm very excited about the possibilities." After being forced to appoint a new manager following the summer departure of Paul Ince to Blackburn Rovers, Dons chairman Pete Winkelman has been thrilled with the impact Di Matteo has made. "In his first six months in management, Roberto has proven himself to be a brilliant motivator, an excellent decision-maker, a knowledgeable tactician - three of the numerous qualities that attracted us to him in the summer. Hopefully now Roberto will be our first manager to stay with us for over a season!! "We feel that stability is of paramount importance in sustaining the growth and progress of this football club, so it is with great pleasure that we make Roberto, Eddie and Ade part of our long-term plans." In a busy day for the League One club, the Dons have also extended the loan of Chelsea defender Shaun Cummings until the end of the season. Cummings, 19, had been due to return to Stamford Bridge on 4 January.